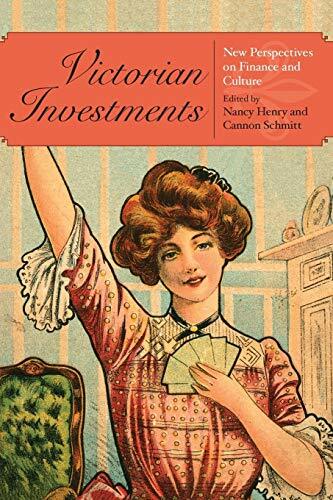 Victorian Investments explores the relationship between the financial system in Great Britain and other aspects of Victorian society and culture. Building on the special journal issue of Victorian Studies devoted to Victorian investments, this volume is the first to define an interdisciplinary field of study emerging in the space between Marxist critiques of capitalism and traditional histories of business and economics. The contributors demonstrate how phenomena such as the expansion of colonial and foreign markets, the broadening of the investor base through the advent of limited liability, and the rise of financial journalism gave rise to a "culture of investment" that affected Victorian Britons at every level of society and influenced every kind of cultural production. Drawing together work by prominent historians as well as literary and cultural critics, Victorian Investments both defines the methodologies and perspectives that characterize an existing body of scholarship and pushes that scholarship in new directions, demonstrating the signal role of economic developments in Victorian culture and society. Nancy Henry is Professor of English at the University of Tennessee. She is author of George Eliot and the British Empire and The Cambridge Introduction to George Eliot, and is co-editor of a 2002 special issue of Victorian Studies. Cannon Schmitt is Associate Professor of English at the University of Toronto. He is author of Alien Nation: Nineteenth-Century Gothic Fictions and English Nationality.